Categories: Breaking & Drilling for Hire, Diamond Drilling Rigs for Hire. 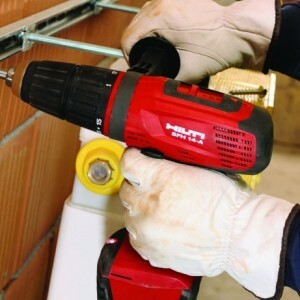 Sturdy and powerful heavy duty cordless drill / driver. High torques with numerous settings. Forward and reverse operation. 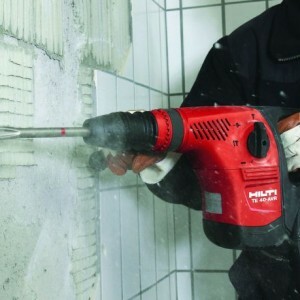 Hilti's 18-V cordless drill driver is a lightweight hand-held drill that makes it a perfect solution for overhead drilling and driving. Even though the drill only weighs 3.7 lbs, it can still deliver upwards of 484 in./lbs of torque in hard joint applications. Built out of 100 percent all-metal gears. It also comes with two speeds and 15 clutch settings. It even uses LED lights to help illuminate the area of application, making the drill even more convenient for users. This electric diamond drilling rig is suitable for core drilling concrete upto 126mm or 5″. 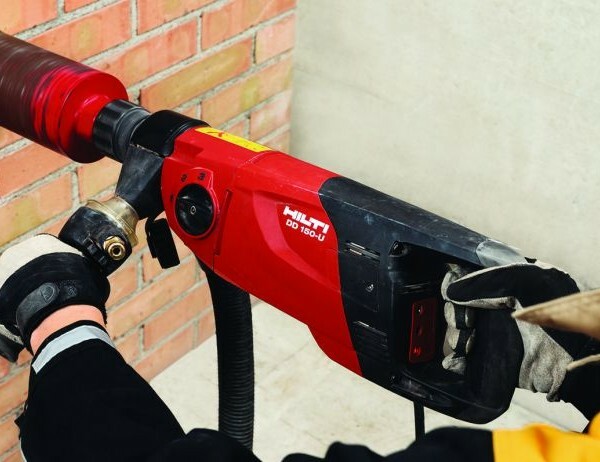 The electrically powered Diamond Drilling Rig DD 150-U made by Hilti is a diamond core drilling machine that can be used for multiple purposes, including hand-guided wet and dry drilling through holes or anchor holes. It can also be mounted on a drill stand for wet drilling of through holes or anchor holes in reinforced mineral materials. 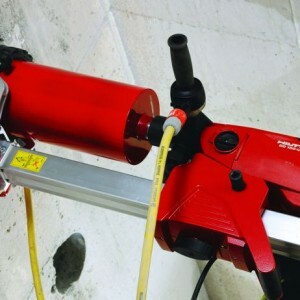 The DD 150-U can drill through concrete up to 126mm or 5″. There are a number of accessories available for the DD 150-U, including a drilling rig and a vac pump.